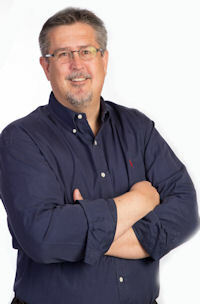 Jim Prestipino is a Senior Sales Consultant for Top Value Fabrics. A graduate of the University of South Carolina’s Moore School of Business with a degree in Management, he has 31 years of experience in the textile industry. Jim has worked in Sales, Customer Service, and Management with some of the most well-respected companies in our industry: Milliken & Company, Amerbelle and Top Value Fabrics. Jim joined our team in September 2002 as a Sales Person and his extensive knowledge and talents were quickly recognized as he was promoted to Senior Sales Consultant. Jim has recently received recognition and Sales Awards for Largest Volume Increase and for Sales Consultant of the Year. Special interests include spending time with friends and family. Jim enjoys playing golf, is an avid South Carolina Gamecocks fan, and is a devoted Indianapolis Pro-Sports enthusiast. Jim and his wife are especially proud of their two children.